Riding an Elephant, or ‘Elephant Trekking’ is one of the most popular animal tourist attractions in the World, specifically in South East Asia. It’s a vicious cycle between uneducated tourists who want to cross something else off their bucket list, or get that ‘perfect photo’ and money thirsty ‘mahouts’ making plenty of profit from daily rides to these beautiful animals. Elephants are wild animals and do not deserve to have their spirit broken and tortured every day. In order to make an Elephant respond to such orders of allowing people to ride on his back, or wear silly costumes to perform in a circus, it has to go through a series of beatings. This is known as ‘Breaking the spirit’. 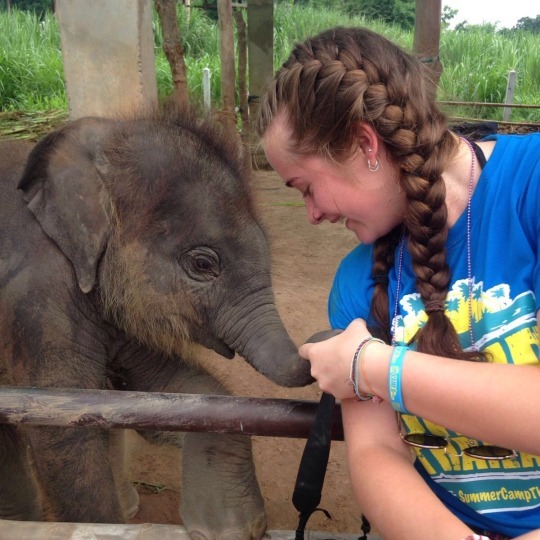 It allows them to be tamed for domestication, which is obviously very wrong for an Elephant. Being hit. 2. Elephant’s spines are not designed to carry weight. It causes them severe pain and damage. They will spend a lot of time, chained up, on their own after being taken from their families at a young age. Elephants are like humans in the sense they can feel a strong mixture of emotions. This will affect them a lot, especially with their behaviour. They will still have to deal with daily abuse behind the scenes! It’s safe to say that people are still riding Elephants on their travels due to lack of awareness. Admittedly, when I was younger, I wanted to swim with Dolphins and yes, even ride an Elephant because they have always been my favourite animal. But once I educated myself on the subject as I grew up, I realised how unethical it was and it need to stop. It still baffles me how it is still legal. 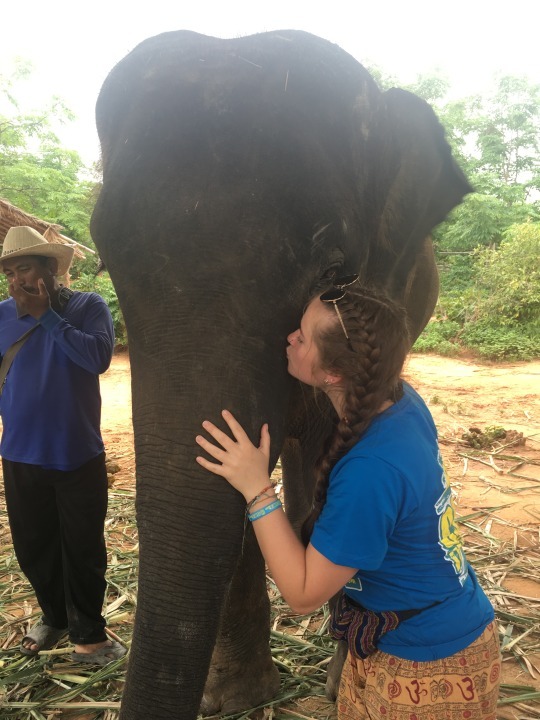 After volunteering at the Surin Project, Thailand all it made me want to do is preach this even more – I just want to raise awareness for these animals that are soon to be extinct due to the tourism and ivory trade. There are many sanctuaries you can volunteer in which will be much more worthwhile than a 15 minute ride. 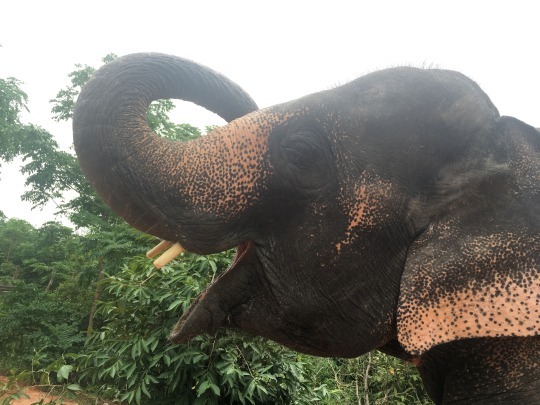 You can get up close and personal with the Elephants, play with them, feed them, wash them and even make paper out of their poo (yes, this is what I did at The Surin Project). These sanctuaries offer a loving environment for Elephants who have been abused for use in the circus and the tourism trade. 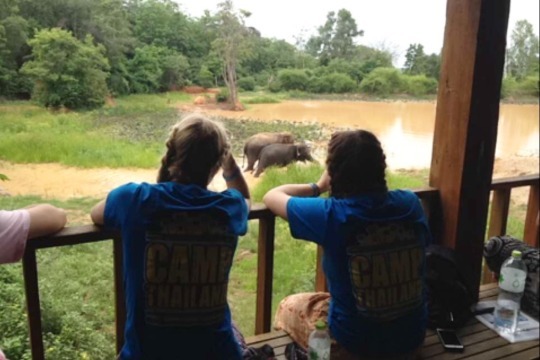 The Elephant Nature Park is world renowned and highly recommended! !